Regarding legal custody: since 1981, we've had a concept in New Jersey called joint legal custody. Early on, joint legal custody was limited to those cases where parties could really be counted upon to agree with each other, and to work things out in the best interest of the children. That's really what the Supreme Court had in mind when it decided the case of Beck v. Beck back in 1981. Basically, a situation in which the Supreme Court said at that time was not the most common, but one in which the parties, despite getting divorced, could still work together, could still count on each other, and could be counted upon to be joint legal custodians. So, for the first time in 1981, in the case of Beck v. Beck, the New Jersey Supreme Court authorized divorce court judges to order joint legal custody -- but only in these circumstances where the Judge believed that the parties were a position where they can work together, as determined by the judge at a trial. Now fast forward some 36 years later to 2017. Today most, if not all, divorce court judges in the State of New Jersey have embraced the concept of joint legal custody as the standard, and no longer the exception. So they've done a complete 180 from what the Supreme Court initially ordered back in 1981, in Beck v. Beck. Now, most judges take the view that the default position should be joint legal custody, unless there is some compelling reason against it. And it's been that way for many years in this state. So, most people can count on having joint legal custody, which again maintains both parents with an equal voice in all major decisions affecting the children, including their general well-being, their health, what doctors they go to, what medical procedures they may have done, their education, their college, etc. All of the decisions that are major factors in the life of most children must have the equal input of both parents. That's essentially the concept of joint legal custody in New Jersey as it presently operates. Now, that's a whole separate concept from the concept of physical custody. Physical custody essentially deals with where the children will live. When I started practicing divorce law back in the 1980s, the general rule was the children lived with Mom, and Dad visited. That's what judges ordered most of the time. Basically, the kids were with Mom. Dad had visitation every other weekend, from either Friday night through Sunday night, or Saturday morning through Sunday night, plus Wednesdays for dinner. Well, that's changed completely in the 30 years that I've been a NJ divorce lawyer, so much so that a lot of fathers now fight for (and often receive) joint physical custody as well as joint legal custody. In many of the cases that I have, fathers have essentially said, "Every other weekend? No way, that's not the way I parent. I want my kids every second that I can get them. I'm not trying to take them away from their mother, but she should not try to take them away from me either." The father will often say, "I want true 50/50, which means maybe the kids will have 1 week with me, 1 week with their mother, or maybe I get certain days and she gets certain days. Maybe she gets more days during the school year and then I get most of the summer to make up for it, but I want 50 percent of the time." There is a whole time-sharing spectrum that a family can fall between, and the good news is that through mediation, we have the ability to customize something that works best for you, your spouse and your kids. If you go to trial before a NJ Superior Court judge, then the Court is going to listen to the testimony and then decide what it thinks is in your family's best interest (and then essentially shove it down everybody's throat). 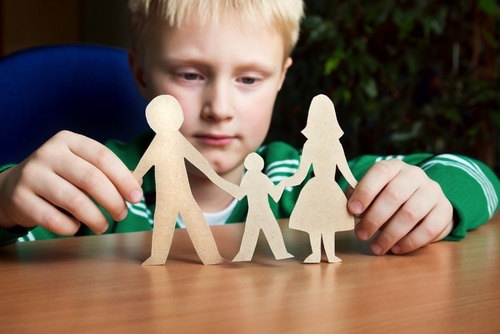 The beauty of the mediation process is that we have that ability to tailor make something that works for your family, within the parameters of joint legal custody and physical custody.